LK have introduced a new and improved range of mud boxes. The new improved design is on average 30% lighter than the previous versions. This makes them not only easier to handle, but also contributes to lower transport costs and fuel consumption, enabling a more competitive price. LK’s product range contains both straight and angled type mud box in the sizes ranging from DN40 to DN300 (larger dimensions on request). The mud boxes are made of cast iron but can also be produced in GGG40 with foundry approval when ordering larger volumes. 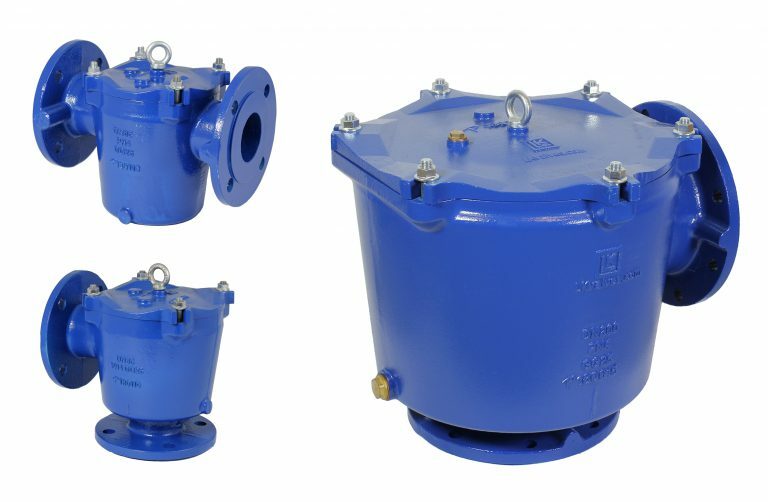 DN40 to DN65 strainers have baskets with 5x5mm mesh size and DN80 and above 8x8mm mesh size, however bespoke mesh sizes of 3x3mm, 5x5mm and 8×8 mm are available if required. Sizes DN80 to DN300 come with a drain plug to empty the mud box from water before cleaning the strainer. The strainer is fitted with cover nuts as standard for quick opening with an appropriate power tool. However, if preferred, the customer can choose to have eye nuts on request instead of the standard cover nuts. All models are prepared for mounting of sensors for pressure, flow and temperature.